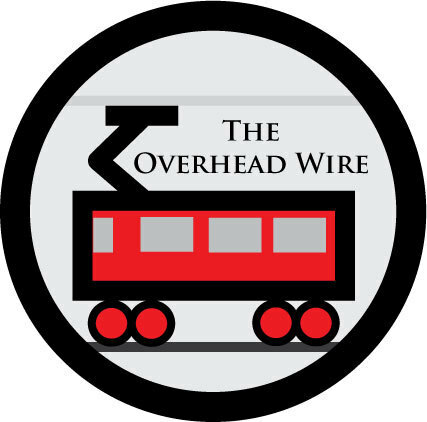 The Overhead Wire: What is Austin Thinking? Ok. I guess I should come clean. In 2004 I held my breath and voted for the Capital Metro commuter rail line when I lived in Austin. Given my small coalition of activists couldn't quite push the commuter rail line away or spark greater talk than a study of streetcars I just closed my eyes and voted for the commuter rail line hoping that it would all work out in the end. At the time there was some despair that if it didn't pass there wouldn't be another rail election for a very very long time. The 2000 loss still stung and though we kept fighting for light rail down Guadalupe during the Calthorpe led public input and other avenues it just wasn't going to happen if the leadership didn't want it to. Ultimately all of this led to me writing my graduate school thesis on the politics of rail in Austin where I concluded from lots of reading of past articles about the process that Mike Krusee basically manipulated the system to get transit to his part of the region, even though he wasn't even a representative inside the service area. Since then he's had a "come to jesus" on New Urbanism and left state office but every time I think of what happened it makes me sick to my stomach what could have been. But it turns out that it wasn't just him. It was former GM Fred Gilliam and a whole host of people that just didn't want to push for the right route down the center of the region for fear of political retribution. And apparently they still don't because the Red Line has sapped the energy out of any forward movement and other regional entities keep proposing suburban serving lines that do nothing for the constituencies that actually voted for rail in that 2004 election. So color me annoyed when regional planners start talking about spending $340M on a line that might get 5,800 riders to Round Rock. The current line is under 1,000 riders a day and cost $120M. This is in contrast to the 2000 plan which was $740M for 37,400 riders. I still can't believe that no one in the city looks at these numbers and wonders, why the heck do we keep proposing to spend money on these lines that won't have ridership until we have a good core connection line. Sorry for the crude paint map, but the blue line is 2000 and the black line is the current commuter rail line. Always go where the people are, not where the freight line happens to go. M1ek has been harping on this for a long time and he's always made some good points. Obviously I don't agree with everything he says and I do wish that he'd be a bit more diplomatic and less in people's faces about it because it seems like once he annoys someone, they tune him out. But at some point folks have to start thinking about whether they are continuing to throw good money after bad and just swallow their pride. Anything less than a line down Guadalupe is the city selling itself short. And if you don't believe me, take a look at the FTA document linked above. You want riders for cheap? Connect places where people are. It's not rocket science. OK, I'll admit I don't know much about Austin, but... if you look at cities around the world, commuter rail typically does not run on city streets. In America, we run it down some streets and call it "light rail" - and then wonder why it doesn’t adequately serve the needs of either city or suburb. If Austin has dense corridors that need upgraded transit, that should be considered separately from the needs of suburban commuters. That is not the complete truth. Most large cities int he world have a separate commuter rail system. But then they often have multiple different transit systems, using different technology and serving different sort of distances (commuter rail, subway, streetcar, bus). But there are some systems that integrate suburban commuter rail and a downtown streetcar system -- by simply running the streetcars on the rails. Granted you couldn't do that in North America (yet) due to FRA regulations, but if your freight line is abandoned, or if you can just lay tracks along the freight right of way, you can still save a lot of money. The nice thing about a system like that is that it serves both suburban and downtown commuters, while being fairly cheap in construction and maintenance. That leaves only one other outcome. Rezoning of the areas around the stations to high density, multi-use, transit-oriented development. Otherwise, they will not be economical to exist without additional subsidies. Except that there could be opposition from the NIMBY's. You're buying into the spin from enablers like JMVC - I spent years not "in peoples' faces" (go back and look at my 2004 and 2005 archives), and that got me precisely nothing more than being in peoples' faces is getting me now. I decided quite some time ago that I'd rather not be "wrong together" just to stay pals; others have obviously disagreed - but their complaints and tuning-out is more to do with their own desire to think their maintenance of access is actually helping than anything I have or haven't done. The fact is that those who decided to be quiet and work with Capital Metro from the inside accomplished even less than I have. Surely you realize this, right? How much light rail for the core did they get anyways? Capital Metro's plan is still double-track the Red Line and build the Elgin line next. Did the people who stayed buddies with JMVC-and-company get Capital Metro to change one bit? Hell, no. As for rezoning around stations, that ignores the fact that this line doesn't hit any employment centers. You don't get TOD without ridership to begin with; you don't get ridership to begin with without some critical mass of walkable endpoint (office/school) destinations. To the extent that the people working on the inside are not getting anything done, that is completely true. We'd likely have a real transit line now if more muscle was flexed from regional leaders. Perhaps they didn't feel they had the power to do so but ultimately it has gone nowhere. I don't think my comment stemmed from interaction with JMVC or anyone else but rather how I kind of cringe every time something you write just seems to be yelling or "in your face" type stuff. I don't think its the friends issue you should worry about but, the ability to make yourself heard by policy folks that are going to change things. Someone has to change it and if people are not paying attention then it's not effective either. Like I said, I agree with most of what you say, but perhaps there is a better way to go about it. But maybe your way is getting more done? At this point I don't know. Just my opinions on the matter and right now everything seems to be a mess. The city option looks like a very long stretch down what appears to be a busy corridor - exactly the sort of thing which turns off riders who were expecting "commuter rail". I am aware of Karlsruhe's "train-trams" but they and other similar operations in Europe get to run their city portion under favorable conditions that we could only dream of in America. Maybe the conditions in Austin are favorable for such a combo - but I doubt it if it's anything like most other American cities. 1. From Sociology 101: People who have bought into what turns out to be a losing idea get more and more defensive, at the same time accusing their opponents of more and more dastardly deeds and actions - often projection from what they themselves are doing. For instance, your buddy JMVC posts in more than one place fairly derisive comments that nobody should listen to me because I have no idea what I'm talking about, and at the same time will bemoan the lack of civility in the debate. 2. When nobody listens when you're calm, why on earth would you continue to stay calm? But, of course, the other side will say they're not listening then because you're yelling. Again, this is basic human nature - nobody wants to admit they were wrong, so they'll go to any lengths imaginable to convince themselves that the other guys were bad and therefore they couldn't have been blamed. The history on this is clear - because I kept my entire record online. You can go back to 2004/2005 and see policy debates; you can go back a month and see "I told you so"; the response to both of them was and is the same - derision. Not that you're alone; you can see a long thread on facebook from a couple of guys who fell into the same (very common) comfortable cognitive trap, by the way. Finally, whether it 'works' or not depends on what you're trying to accomplish. I've been really clear this whole time that I do not expect to be able to get the Red Line closed and 2000's line resurrected; but some people still don't get it: the point of the blog is and was to shorten the Dark Ages here by making a contrary record to the claim that "everybody thought this thing would work; it didn't; so I guess we proved rail doesn't work, ever". Nothing else is reasonably capable of being accomplished given the debacle we've inflicted on ourselves. I do think the Riverside plan is interesting. Obviously the University is still a huge gorilla in the room, but UT and the Ledge no longer employee pretty much everyone in town. The biggest problem I see with Guadalupe is while "everyone" is there now, the area is INCREDIBLY resistant to change and density. Moving the rail line east where there is land and existing density of people allows the city to build a line that is immediately useful, and that has potential for massive expansion. The Round Rock plan is obviously completely bogus. Not to mention that Round Rock is treading on thin ice by not paying for Capital Metro transit even though they use it. I wouldn't be suprised if the libertarians catch on at some point and start something like the anti-toll road movement to keep Round Rockers off our buses. Tim, not sure whether you mean "go up San Jacinto to serve UT" by "go east" or the entire idea to go out to East Riverside in the first place. If the former, it's a convenient lie for both Cap Metro and UT that San Jacinto is as good or better than Guadalupe - it's not remotely the case. If the latter, bear in mind that under the most starry possible proposals, apartment complexes in East Riverside may someday look like the Triangle - still less dense than West Campus will be at that point. Going out east on Riverside is worth doing because it's the best thing we have left; not because it's anywhere near as good as going north on Guadalupe/Lamar would have been.